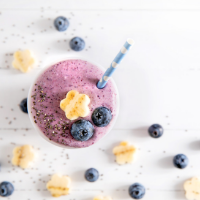 Blend the frozen Wild Blueberries, nut butter and almond milk until smooth and creamy. Slice cold banana in half and lay out on an oblong plate. 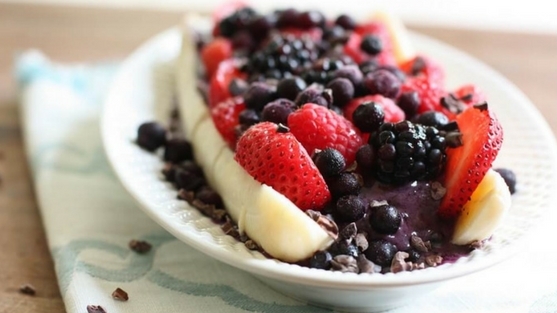 Scoop out Wild Blueberry mixture and place in between banana halves. 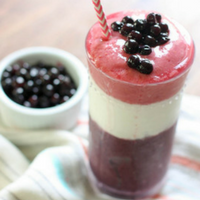 Cover with fresh berries and a few more frozen Wild Blueberries.